Riveting, excellent character development. Engrossing with well-written literary story line. DI Pascoe and his family, relationships with friends and many questions I've had over the years are finally clearly delineated. Entertaining and satisfying, no loose ends, but an avenue for a continuation. I've now "read" several Dalziel and Pascoe novels and have enjoyed every single one. This one was no exception. The character development was seamless and gave me an intimate sense of each character. While complex, the plot was effectively told. 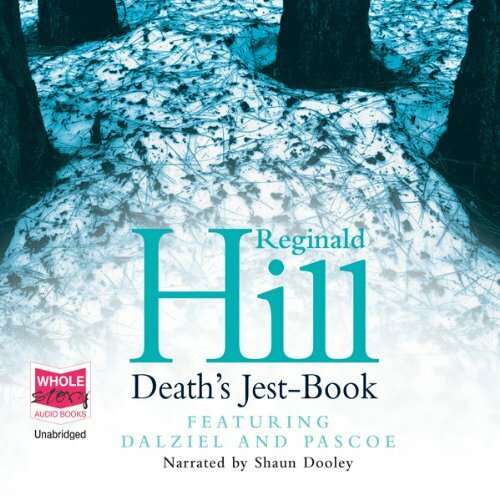 Shaun Dooley is a perfect narrator for these stories - using a unique tone for each character, like watching a play unfold. Kudos to both author and narrator! I did enjoy this, as do all the Dalziel & Pascoe novels, but here it feels like the sequel to a storyline I haven't read, something about an unresolved serial killer (? ), and the previous book of the series is unavailable from audible. I could hardly get through the first hour of this book. So far it consists of smarmy tedious letters being written to Pascoe by some criminal he helped put away. I can't bear to go on, way too tedious for me. Ugh. What a waste of my credits. I did not care for this story at all. I dislike certain filthy words concerning women included in this book. I also dislike the narration by Shaun Dooley. Better read than listen, narrator just lost me. Sehr spannendes Buch, das an Epilogue of the Dead anschließt. Wunderbarer Vorleser. Der Plot ist sehr komplex, aber schlüssig. Alle interessanten Nebenfiguren sind diesmal als Hauptpersonen dabei, Ry Pomona, Hat Bowler und Franny Roote. Einige Einsichten zum Tod haben mich tief berührt. Unbedingt anhören!